If you’re planning on buying a furnace, shopping on the web might appear to be a wise idea. However, before you do, here are several main reasons why an internet purchase could end up costing you. The majority of building contractors won't install heaters purchased via the internet. Simply because they can't be sure the equipment’s condition, a contractor will be unable to warranty an installation. This, and the fact that they typically don’t make much profit from installs, makes many contractors not wanting to install any online purchases. A handful of contractors decided they are willing to install HVAC equipment bought online, and may do it with an overpriced rate to make up for some of the lost profits. Consequently you may wind up paying more for the entire project than you saved from purchasing online. Because an wrongly installed furnace could have dangerous outcomes, you must never make an attempt to install one yourself unless you have the correct training and experience to do this. You could potentially choose the wrong size furnace. When purchasing a furnace, it's important to determine what size is best for your house. Professional contractors conduct a load calculation to find out which size is going to be most efficient. You can try to undertake this calculation on your own, but because an improperly-sized furnace will cost you more on your power bill as well as pose health threats for your family, you ought to still consult an expert to double-check your work. The equipment may be damaged. 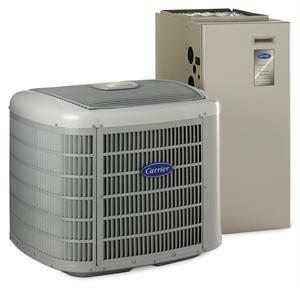 The majority of HVAC equipment available online doesn't include a warranty. This means that regardless if your equipment is damaged when it arrives, you may not obtain return or refund. The equipment could possibly be stolen. A number of the low-cost products online are now being sold by criminals who purchased the gear with stolen credit card numbers. Scammers will buy expensive brand-new equipment, and then sell it immediately online with an extremely low cost. Should you choose to decide on purchasing a furnace online, ensure it is from a respected merchant. For additional info on the many benefits of investing in a furnace from your local, certified expert, contact Sandium Heating and Air conditioning. It is important that you hire a profession who specializes in furnace installation. I have heard horror stories about people trying to install their own. DON'T, find and help, and get it done right. I have been experiencing problem with my Furnace Heating for the past years and I am thankful to came across this website.